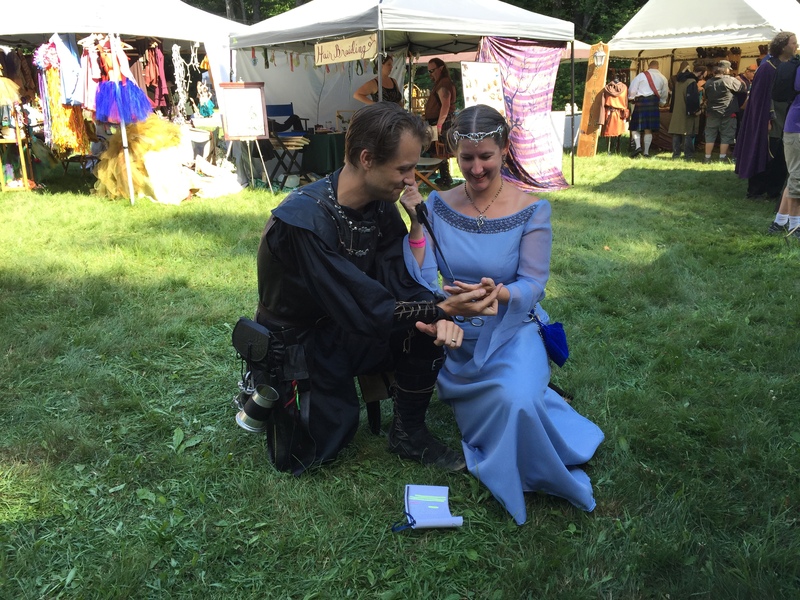 Hearken to Avalon characters, Morgaine and Guy (portrayed by David and Shoshona King, local Renaissance actors), come to life at local fairy festival, Market of the Moons. 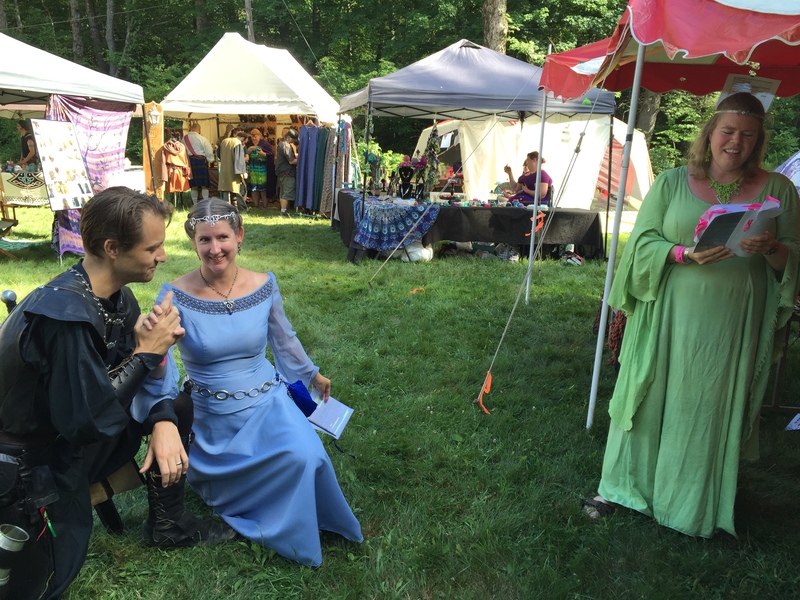 Hearken to Avalon is not only an “Into the Woods” intermingling of myths and legends, but also a magical tale of the the Faie-Human bloodline and how the Faie (a.k.a. Fairies) work to stay a part of a changing world. In this scene, Morgaine pricks Guy’s and her fingers and brings them together so that their blood mingles. It is in that instant that Guy feels a powerful sensation washing over him – Faie magic to bring these two together and seal a blood bond. But this must mean that not only Morgaine, but Guy of Gisbourne too, has Faie blood in his ancestry. But who? Read Hearken to Avalon and find out! This is Hearken to Avalon! Like Hearken to Avalon on Facebook! Buy the book or Kindle on Amazon.com! Request Hearken to Avalon at your local library or bookstore. 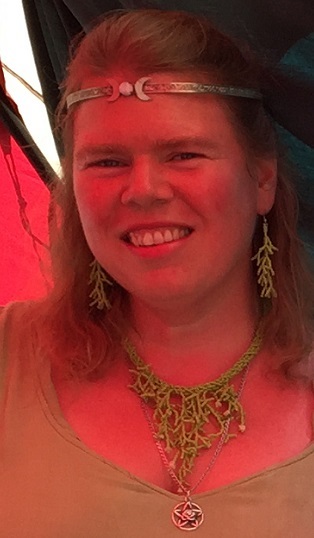 This entry was posted in Faie/Fairy, Historical fiction, Novel and tagged Arianna Alexsandra Collins, Faie, Fairy, fairy festival, Guy of Gisbourne, Hearken to Avalon, Market of the Moons, Morgaine. Bookmark the permalink.